Like Little Italy in New York and Chinatown in San Francisco, Little Mekong offers a vibrant community where you can buy unique art and wonderful Asian food while immersing yourself in the culture of Southeast Asia. Little Mekong is located where Frogtown meets Summit-University and historic Rondo neighborhoods in St. Paul on University Ave, where for the past 30 years, St. Paul’s Southeast Asian communities have been doing business. Now we want Little Mekong to become a regular destination for you as well. “Taste of Little Mekong” will include a ribbon cutting for Little Mekong, celebrated with food, cultural performances, a dragon dance and a special appearance by Nitaya Panemalaythong, Miss Minnesota 2012. A free Tasting Tour of Little Mekong Restaurants will follow the program. 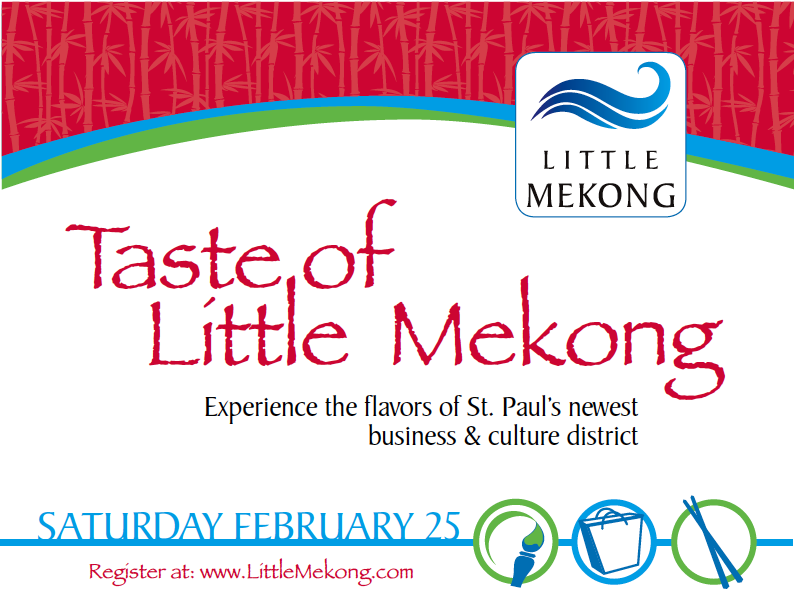 To reserve a space for the Tasting Tour, please go to www.littlemekong.com.